Discussion in 'RPG Maker VX Ace' started by rizunx, Dec 17, 2016. So I've been trying to mess with the window color settings the normal way in the system tab, but I can't seem to ever get it to go to white, just a gray color when I turn all the sliders up. On the other hand, there's no problem turning the window to black or any other color other than white. And I was wondering if there was anyway to get it to white. I already tried messing with the custom window skin, but that doesn't seem to do anything (even the palette). Do you want this for all message boxes, or only some? I'd really like it for all message boxes since the game I'm making is mostly white with a few light colors. If you made a white window skin, then all boxes would be white - but so would your menus. Could you live with that? Yup that's the goal. Currently, this is the window skin I made and it's pretty simple so, I'm not sure what else I should try doing with it. I've tried making everything white and messing around with the colors at the bottom, but it still just gives that gray color. If you are not using any custom script which alters the window skin in any way, have your tried changing the translucence of the window skin itself? As the window skin is not fully opaque, it could be allowing something from the background to show through, therefore you will never have a pure white. The default script Window_Base sets the translucence. You will find the value (160) at line #181. Try changing that. Heh heh heh, I've tried this before too. You need an opaque message background. Otherwise, you'll ALWAYS get that what-you-call 'gray' background (it's actually off-white). 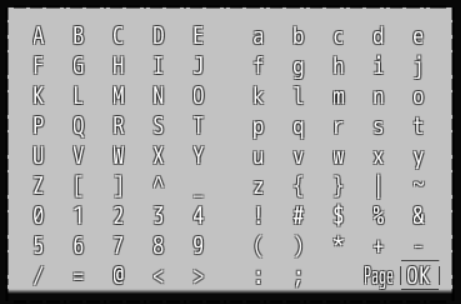 Galv has this script for adding your own message backgrounds, you could use this and add the graphic yourself. So, I tried to changed the translucence of the base, but no matter what the value is, it doesn't change the opacity of the text box at all. But, opacity is most definitely the reason for the off white background. Edit: I've been doing some searching and a lot of questions with the opacity background are saying to find/add "self.opacity = 255" and I tried doing that too, but it doesn't seem to affect anything.